Now when we say, ‘If the cart does not move,’ how is the cart’s moving and how is the cart’s not-moving? For example, is water’s flowing the cart’s moving? Is water’s not-flowing the cart’s moving? We should say that flowing is water’s not-moving. Water’s moving can be not-flowing. Therefore, when we investigate the utterance, ‘If the cart does not move,’ we should understand that there is not-moving and also there is never not-moving, because [both are] times. The utterance, ‘If not moving,’ does not simply refer to not going. [Nangaku said,] ‘Which is right to hit the cart or to hit the cow?’ Should there be both hitting the cart and hitting the cow? What does this mean? First he starts with the question, what is moving and not-moving? When we are driving a car and suddenly it stops and won’t move, we have a problem, so we look into what should be done. In a situation like this, what is the right thing to do? That is what Nangaku is asking in the original story. But Dogen is asking not only what we should do when the cart is not-moving but also he is asking what is not-moving. This is an unusual question. When we have troubles with a car, we only want to know how we can fix it. We don’t think we need to understand what is the not-moving of the car. This means we think not-moving is a problem without doubt. Are we really certain that moving is good and not-moving is a problem? When the car doesn’t start, is it really not-moving? Here we have moving and not-moving; they are neither negative nor positive. These conditions are before a value judgement has been made. Going and not going are two sides of one reality, as he is trying to say when he uses the analogy of water. Our common sense tells us that the water always flows from a higher place to a lower place. 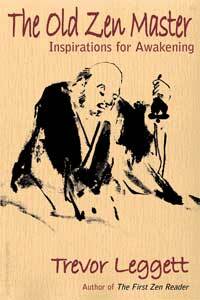 Dogen is asking if flowing is water’s unchanging nature? As far as water is flowing, water does not change its nature whether it appears to be moving or still. Flowing is the unchanging nature of water. This means that as living beings we are always changing. From babyhood to childhood into being a teenager, a young adult, a middle-aged person and then an old person. This is how we change, but this is the unchanging process of human life. Without exception all human beings are born as babies and their bodies and minds go through a process of constant change. There is nothing that does not change. Changing is the unchanging nature of each and every being. What is meant by ‘the cart does not move’, and what is meant by ‘the cart moves’? There are two ways of seeing the one single reality. The first way is to see that a tree becomes firewood when it is cut and dried. And when the firewood is burned, it becomes ash. This order cannot be reversed. This is our common way of thinking. In this model of thinking, something that can be a tree, firewood or ash is travelling within time, flowing through past, present and future. The second way is to see each moment as an absolute moment that includes past and future. At the moment of firewood, that moment is the only reality. The moment of a tree has gone and the moment of ash has not yet come. Before and after is cut off, but the moment of the tree and moment of ash are reflected in this moment of firewood as the past and the future. This moment that has no length is one with the entire past and entire future. It is not part of a linear time. Rather the flow of time was created in our mind to interpret this change from tree to ash through to firewood. In this model, time does not flow. Each moment is the perfect moment and gateway of eternity. Both are ways of seeing the reality of our life. We are always changing, always moving. Both body and mind are constantly changing. But somehow we think there is something that does not change. Fifty years ago I was a baby and fifty years later I am a middle-aged person, but I think that even when I was a baby I was ‘Shohaku’ and now I am also ‘Shohaku’. We assume there is something that does not change, and that this something that does not change is going through the process of changing. Otherwise we cannot say ‘something’ is changing. Changing means ‘A’ becomes something not ‘A’. If there is nothing that is common, we cannot even say ‘A’ changed and became ‘B’. If ‘A’ and ‘B’ are completely different things, we cannot say ‘A’ changed into ‘B’. ‘A bicycle’ cannot become ‘Shohaku’. Because there is some continuity, something common, we think that a baby Shohaku became the boy Shohaku, and the boy Shohaku became the middle-aged Shohaku. Our common way of thinking implies there is something that does not change. Otherwise our words do not make any sense. That is a problem in Buddhism — that ‘something’ that does not change even though our body and mind have been changing, what is it? It is atman. 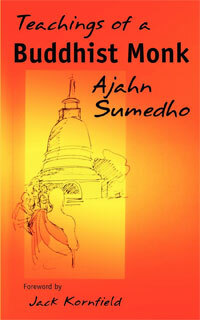 But the Buddha taught there is no such thing as the atman, that only the five skandhas exist, that is, body and mind. The first one of the five skandhas is body and the other four are functions of our mind. Buddha taught that there are only the five skandhas and those five skandhas get together or scatter and are always changing. There is no thing that does not change—that is Buddha’s teaching of anatman, no-substance, egoless-ness, or no-self. It is difficult to explain this reality when we have to use words and concepts. We cannot express this as simply ‘Shohaku’ has been changing from a baby to a boy, and from a boy to a teenager. Unless we assume that ‘Shohaku’ is an unchanging entity, we cannot even say that ‘Shohaku’ has been changing. But Buddha said there is not such a thing. This is why we should inquire whether the first way of viewing the change within time is absolutely right or not. What is really moving and changing and what is really not-moving or not-changing? What is changing and what is not changing if everything is impermanent without substance? Actually, Dogen does not explain and provide a theory, instead he continuously asks us. He tries to destroy our common logical way of thinking and using concepts. When we read this kind of thing we become confused and we think it doesn’t make sense. What Dogen is trying to do is deconstruct our common way of viewing things and our habitual way of thinking, understanding or conceptualising. He is not building a system of philosophical theory, but is trying to destroy any system of thinking, urging us to see the reality itself. Don’t worry about not understanding, we should see the reality of all beings clearly without entering the realm of conceptual thinking. Actually, in zazen we do the same thing. By letting go of our thoughts, we let go of our system of values or habit of thinking and see the reality with very fresh and vigorous eyes. Trying to find Dogen’s logic or Dogen’s philosophy as another fabricated system is hopeless. He is simply trying to break our habit of thinking and showing us how to see reality before it is processed with our thoughts. When we do zazen, we don’t need to do this. We just sit and let go of all kinds of thoughts. But when we think or study this kind of writing we should examine our way of thinking. What is the nature of concepts, language, words or logic? 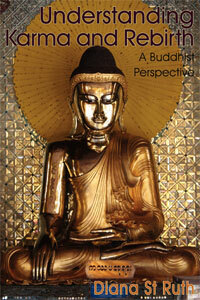 The above is the tenth instalment of Reverend Okumura’s series of lectures on Dogen Zenji’s Zazenshin during sesshin at Chapel Hill Zen Center in Spring 2001. Shohaku Okumura is a translator and the founder of the Sanshin Zen Community, Bloomington, USA. 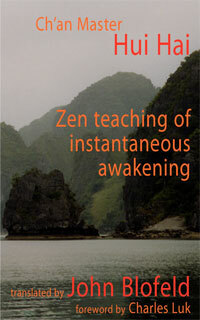 Click here to read more teachings from Shohaku Okumura.